The strike call comes on the heels of an officers union of state-run banks observing a day-long strike last Friday on similar grounds along with demand for immediate settlement of their wage negotiations. 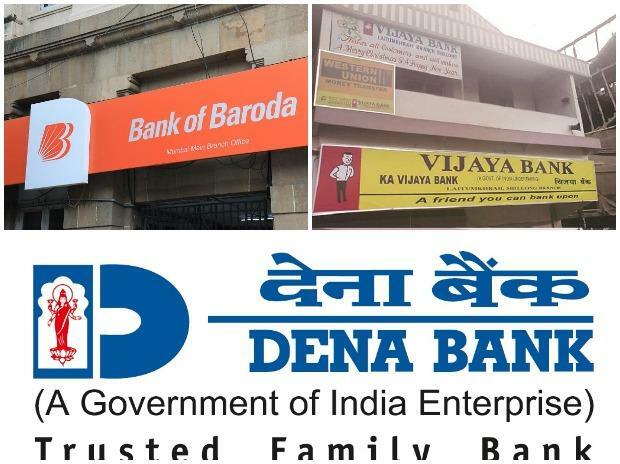 In September, government had announced merger of state -owned Vijaya Bank and Dena Bank, both under the prompt corrective action (PCA) framework of the RBI, with larger peer Bank of Baroda, creating the third largest lender. "This amalgamation is not in the interest of banks or bank customers. It is rather detrimental to both," the United Forum of Bank Unions (UFBU) said. The UFBU is an umbrella organisation of nine unions, including the All-India Bank Officers Confederation, the All- India Bank Employees Association and the National Organisation of Bank Workers, among others. The unions claim that government wants banks to grow in size by this amalgamation but even if all public sector banks are bundled into one, the merged entity cannot find a place among the top 10 globally. The unions say post-merger, a large number of branches will be closed and customers will be have to face hardships as already banks are burdened with various government schemes such as Jan Dhan Yojana, Mudra, social security insurance, and PM's housing scheme, among others. On December 26, the unions will take out a rally and hold a demonstration at the Azad Maidan in south Mumbai. Around 3.20 lakh officers from various state-run banks were on a one-day strike on December 21, seeking immediate wage revision and opposing the proposed merger. The nation-wide strike had partially impacted banking operations affecting services like deposits and withdrawal at branches, cheque clearances and issuance of demand drafts, among others. Bank managements have mandated the industry lobby Indian Bank Association (IBA) to negotiate for scale 1-3 but unions want this to be raised up to scale 7. The wage talks are on for the past 13 months between the unions and IBA, the latter has offered a wage revision of 8 just per cent. In the past wage settlement, which was for the period November 1, 2012 to October 31, 2017, the employees got a 15 per cent hike.